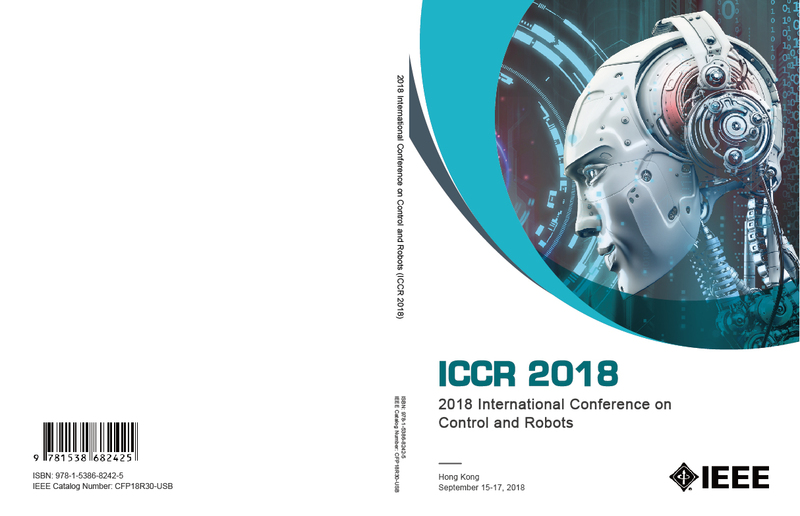 2018 International Conference on Control and Robot (ICCR 2018) was in Hong Kong during September 15-17, 2018. Dr. Dong Sun is currently a chair professor and head of the Department of Biomedical Engineering, City University of Hong Kong, where his current research focuses on bio/medical robotics for cell manipulation and cell surgery. He is among the leading contributors worldwide in pioneering work in robotic manipulation of biological cells, which has recently become an emerging area of robotics for biomedical applications and offered fundamental advances in precision medicine. His research has breakthrough in the use of combined robotics and various micro-engineering tools including optical tweezers, micro-needles and electromagnetic devices to achieve cell manipulation, diagnosis and micro-surgery at the single cell level. With his emerging technology, a new robotics theme "cell surgery robotics" has been recently formed, which will permit many new unforeseen applications previously thought impossible. Dr. Sun received numerous awards, including best paper awards from the international journal and conferences as well as industrial awards such as Hong Kong Awards for Industry. His patented research of intelligent sensor has been used in the E-Channel auto-pass systems of customs in Hong Kong. He serves on the editorial boards of several academic journals, and organizes several international flagship conferences including the world largest intelligent robot conference (IROS). He is a member of the Biomedical Division, Science and Technology Committee of Education Ministry of China, and a member of Research Grant Council of Hong Kong. He is a fellow of the IEEE and a fellow of the Hong Kong Institute of Engineers. Abstract: There exists an increasing demand for developing new technologies that can have earlier diagnosis and treatment of diseases at cell level, thereby achieving long term patient survival. Cell surgery robotics is an entirely new emerging theme that is enabled with specially designed automated micromanipulation tools to perform surgical diagnosis and treatment with image feedback, and can be processed on large-scale single cells. This talk will introduce our recent development of using robotics combined with micro-engineering tools including optical tweezers, micro-needles and electromagnetic devices, as special end-effectors to accomplish various tasks of cell manipulation, diagnosis and micro-surgery at the single cell level. With this emerging technology, we have achieved numerous cell surgery operations such as single cell transportation and rotation, single cell biopsy and microinjection, and target delivery of cells using magnetic actuation. The new technologies for automated cell surgery will permit many new unforeseen applications previously thought impossible, and profoundly affect surgical treatment and precision medicine. Dr. Lu Liu received her Ph.D. degree in 2008 in the Department of Mechanical and Automation Engineering, Chinese University of Hong Kong, Hong Kong. From 2009 to 2012, she was an Assistant Professor in The University of Tokyo, Japan, and then a Lecturer in The University of Nottingham, United Kingdom. After that, she joined City University of Hong Kong, Hong Kong, where she is currently an Associate Professor. Her research interests are primarily in networked dynamical systems, control theory and applications and biomedical devices. She received the Best Paper Award (Guan Zhaozhi Award) of the 27th Chinese Control Conference in 2008, the Shimemura Young Author Award of the 11th Asian Control Conference in 2017, the Zhang Si-Ying Outstanding Youth Paper Award and the Best Paper Award of the 30th Chinese Control and Decision Conference, the 13th World Congress on Intelligent Control and Automation, respectively, in 2018. She also received the President's Award and the Outstanding Supervisor Award in City University of Hong Kong in 2018 and 2017, respectively. Abstract: In this talk, we investigate the cooperative control problem of heterogeneous linear multi-agent systems. A novel distributed control approach is first proposed to handle the general cooperative control problem. Then, the proposed approach is applied to solve two classes of cooperative control problems: one is the consensus problem and the other is the cooperative output regulation problem. Specifically, based on the low gain approach, the controller parameter is designed and the cooperative control problem is solved by means of Lyapunov analysis. The proposed approach depends on relative output of the agent systems and thus is called sensory feedback controller. In comparison with existing results, this approach has its distinct features in at least two aspects. First, it can deal with general multi-input multi-output linear agent dynamics. Second, it does not require communication of internal state, which not only reduces the dimension of the controller but also greatly facilitates the implementation of the controller.